By Craig W. Ross and Angie V. Paccione, Ph.D.
What will you do with your next 10 minutes? Change the discussion. Accelerate achievement. Activating inspired teamwork is a distinct and essential skill. 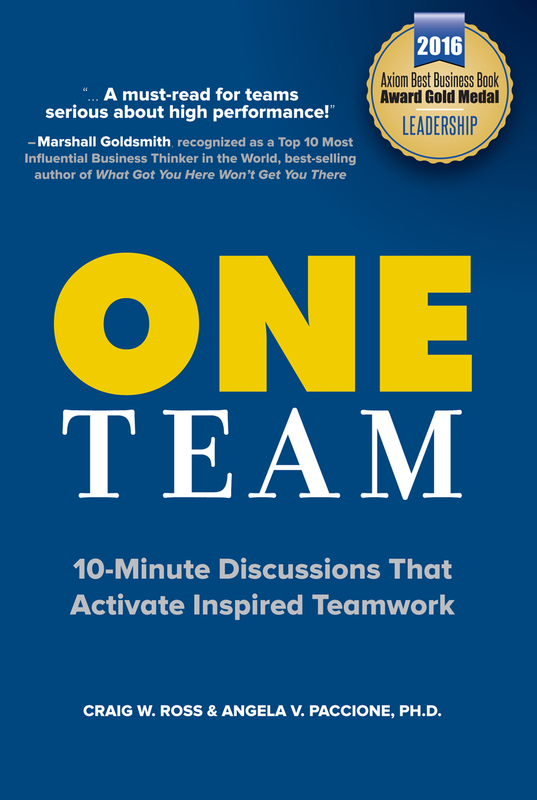 If you’ve ever walked out of a meeting and muttered, “This team could do so much more,” then searched for a mechanism to activate inspired teamwork, this book is for you. It’s a research-supported solution for any person who passionately believes in the power of collective effort and is seeking ways to make it a daily reality. A 40-hour workweek contains 2,400 minutes. By investing a small fraction of the time you have, just 10-minutes per week, you can build something great. The 52 Activation Points in ONE Team provide you and your team with a yearlong framework to activate inspired teamwork, in just a few minutes. The topics covered in the Activation Points are rich in content, with unique questions that follow each point providing “the how” to activate one-team performance. Be purposeful: Your objective is one aligned, focused, high-performing team. Over the past 20 years our organization has taken on the audacious task of equipping teams to sustain extraordinary levels of achievement. We climb high peaks (and enter a few toxic arenas), stumble sleep-deprived through airports on six continents, endure knee-crushing seats on crowded planes, and get home long after our loved ones have gone to bed. And we do it for one reason: We are obsessed with our mission of equipping contributors at all levels of an organization to better put individual and organizational values into action. When people do so, they realize their brilliant potential. CEO of Verus Global, a four-time book author, executive coach, facilitator and a sought-after speaker. Craig’s passion centers on strengthening leaders by developing better people who connect brilliantly with one another. He’s about getting to how we can deliver what we already know must be achieved—and in ways that make people, their families and our world better. It’s Craig’s belief that the vast majority of organizations already possess the human greatness necessary to succeed. What’s necessary is to activate and connect this humanity, so teams function as one. 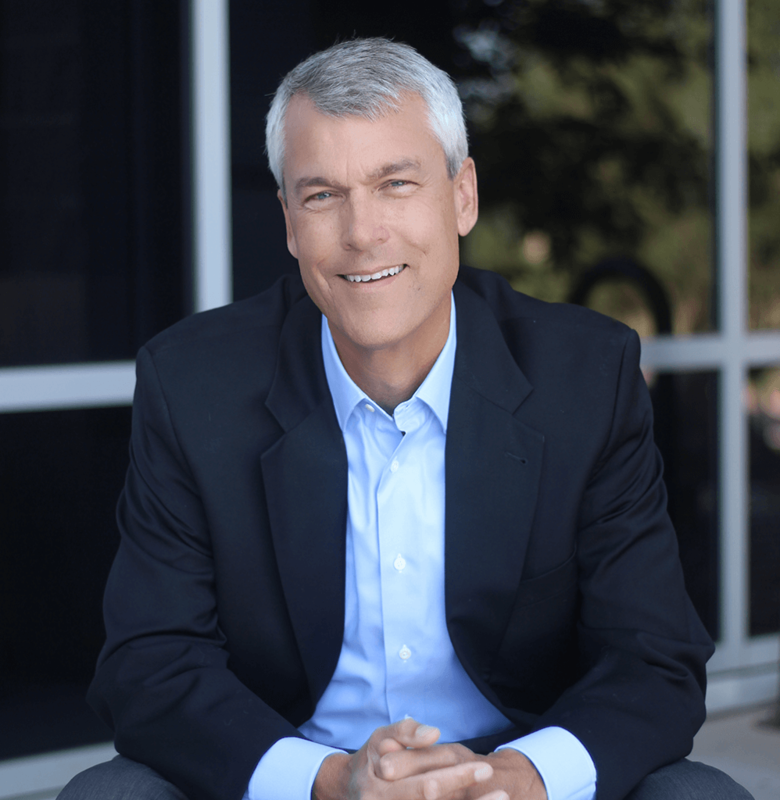 For over twenty years Craig has partnered with c-suite executives and leadership teams in global organizations across numerous industries. While he understands we live in a who-you-know world, Craig wants to make it a what-difference-will-you-make world. Quite simply, Craig works best with people of integrity and high character, who want to create more connected and inspired places to work. Two-time book author, master facilitator and sought-after keynote speaker. Over the past 10-plus years, Angie has distinguished herself as a trusted partner to leaders and teams across global Fortune 100 companies, equipping them with the transformative solutions to activate their potential, create stronger work teams, accelerate business results, and advance diversity and inclusion within their organizations. Angie’s inspiring style and library of compelling stories has helped her to build a worldwide network of amazing individuals committed to building people, partnerships and performance in every interaction. 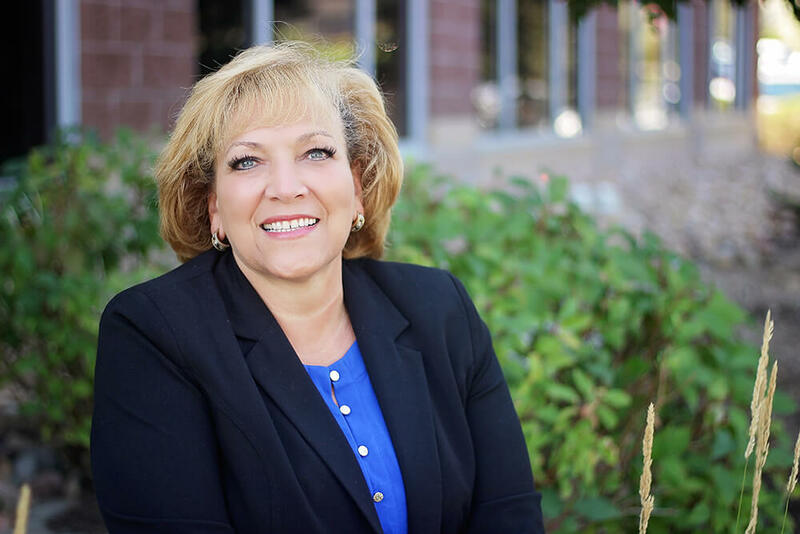 When partnering with leaders and teams, Angie goes beyond simply exploring the fundamental areas of awareness and attitude, and dives deep into the critical areas of applied knowledge and skill building. – Ray Vigil, Former CLO, Humana Inc.